Q&A: “What happens when Twin Flames have children together?" Crystal children, rainbow children, indigos, soul contracts and families. Find out how you’re matched to the “perfect” child based on energy, karma and soul purpose. Before I go on to the answer, I’d like everyone to know I read and receive all your messages and emails but unfortunately there’s just not enough time to answer personally! I appreciate you so much – thank you for sharing your stories, opening up and taking the time to write. If you’ve written to me, please know that I’ve received your message and I’ll do my best to answer you and anyone else with similar questions in the articles on the blog and to address issues in live clearings and other events. And if you’re hurting right now, go ahead and download the Free Help Kit for Twin Flames with a powerful energy cleanse tool to help you move into a more positive situation. Know that things can change for the better – no matter what’s happened in the past! I would love to tell you that all Twin Flames have amazingly happy, healthy, talented crystal children who live happily ever after. However, the situation is more complicated than that. Twin Flames creating a family is not a “magical” situation where they always attract the “perfect child” born with no problems and no challenges whatsoever. When a child is born, the souls of the child and the parents must be in energetic alignment with one another. You attract the “perfect child” for you and your situation. The soul who is the best fit with you and your partner and your life. As Twins are in such an intensely transformative relationship energetically, the child soul they attract and who agrees to be their child, will vary depending on what stage of their soul development the Twin Flames are in. In order to fully explain this situation regarding the potential children of Twin Flames, we have to first of all (as always) look at how this universe functions, which is in terms of energy. Energy really is everything. We, the world and everything in it are energetic beings, consisting of masses of tiny particles vibrating and oscillating at particular frequencies in particular formations. We are not solid, but energy in motion. 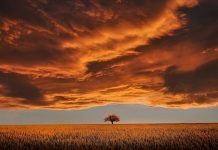 What determines the exact energetic vibration of our field is a combination of our soul signature but also the karmic debt and energetic patterns we’ve taken on during existence. Originally Twin Flames share the same core frequency or “soul song”, and the role of Twin Flame Ascension is to purge from both Twins any negativity that’s polluted this core frequency, so that the two may reach back to that pure frequency they share and be as One. 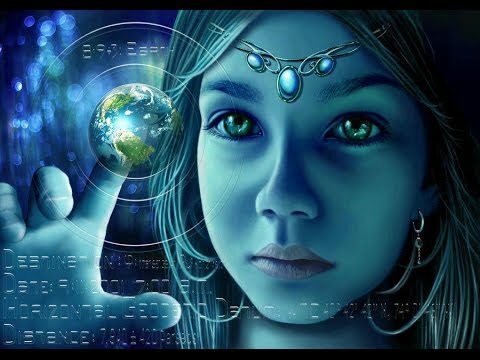 I would love to tell you that all children of Twin Flames are amazingly awakened and advanced crystal souls who bring only joy into the lives of those they meet and who will go through life in happiness ever after. And that could be the case for some Twins. But most often the situation is far more complicated than that. The reality is that children and parents are coupled up based on their energy. So two Twin Flames who are unaware of the karmic baggage they are carrying, will have a high likelihood of signing up with – on the soul level – a child soul who shares similar or the same karma so that the child may be born into their lives and be a part of the increased triggering for all three to get over and heal this karma once and for all. If the parents are carrying certain karma they will attract a child soul who wishes to resolve similar karma in this lifetime, so that they can all be freed from any issues. So when you were born to your particular parents and into your particular family lineage originally, this was chosen by you in alignment with your earth parents’ souls, because you were a match to them and they to you. Families share certain karmic baggage that they come together to resolve in this lifetime. If you visit your Akashic Records, you’ll find that you and your earth parents (and siblings) share significant past lives together. You can learn how to access your Akashic Records and past life information in my Vibrational Alignment Program – there’s even a guided meditation that takes you through it step by step. Souls always have a larger purpose of coming together on earth. Every “child soul” that’s ever born onto earth, has soul contracts mapping out their planned circumstances: who the parents will be, what time and date they will be born (astrological energetic configurations map out each person’s energetic background and focus areas for the soul for this lifetime), and so on. 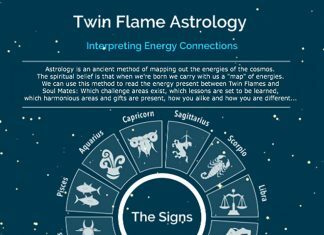 In this way, you and your Twin Flame planned your own early life family circumstances and upbringing situation carefully before incarnating. When a child is born, a multitude of new soul contracts are signed between the child, the parents and any other significant people who agree to be a part of the child’s development and life experiences. Soul contracts often denote what major lessons we will be learning from and teaching each other. As souls, we see this as a true gift – a push for our continued evolution, and for Twin Flames another helping hand in the journey back to Union and Unconditional love. However, while on earth, it may feel challenging to have yet another complicated and potentially conflicted individual as a part of the family dynamic. On the positive side of this, Twin Flames are perhaps the people on planet earth right now who have the biggest motivation and opportunity to clear their energy and lift their vibration, pushing to understand and dwell in unconditional love more and more – thereby giving life to and nurturing happy, healthy children who can be a positive and loving influence in this world. In the case of Twin Flames who are harmoniously together and are in a high vibration, sharing the experience of having a child together will likely be a joyous experience – because these Twins, so called Illumined or Enlightened Twin Flames – will have let go of any limiting, low vibrational earth habits of emotional attachment based in fear. These are the Illumined Twin Flames who have reconnected with their inner light, and are able to live and feel from a place of unconditional love. Parents such as this, whose energies are of high vibrations, will attract a completely different child soul than a child coupled up with a Twin pair who carry a lot of karmic baggage. As an example, one child soul may be coming to earth to free themselves of old heavy karmic wounds, whereas another soul wishes to be born as a “light” (“crystal child”) into our society to become someone who can help and lift up the world during their lifetime. If you and your Twin have journeyed back to unconditional love together, you are a wonderful fit with the latter – the “crystal child”. Twin Flames may in general attract a very “advanced” soul to help them move on with their journey and teach them the gift of unconditional love, but as with everything on this journey, the transformation from heaviness into light often involves being triggered painfully for the old to be released. The process into learning true unconditional love is not always easy. If you and your Twin Flame can manage to rediscover your own inner radiance and release any karmic baggage on your journey and open up to unconditional love before having a child together, you will be sure to attract a parenting journey that is filled with wonder and joy rather than challenges. If you’re interested in discovering how to release karmic baggage, clear and lift your energy with simple, effective tools for day-to-day use – have a look at the Vibrational Alignment Program I created for Twin Flames. Are You Ready to Learn New Lessons? And keep in mind the classic human lesson around starting a family – if you and your partner aren’t happy together, adding a child to the mix won’t fix anything. I personally grew up with a father who never really wanted a child, and although my mother did everything to weigh up for it, that imbalance was always present and I felt it deeply growing up. It played into my own karmic issues and eventually forced me to confront and get over some deeply buried issues, but it is not something I would wish for any child to experience. – Why is it so important to you? – What do you wish from the experience? – Is your partner certain that they want to start a family too? – What kind of child would you like to raise? – How would you like to raise them? – How will you handle it if the child is different from you or gives you challenges along the way? – Will you be able to love your child no matter how they act or feel or express themselves? And maybe you knew it already – this is also the biggest lesson to be learned between you and your Twin Flame too. To love each other no matter what.